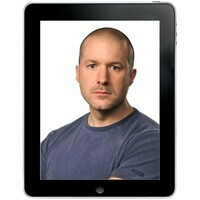 Jonathan Ive – this is the name that we'll be hearing quite more often than before now that Steve Jobs is not among us. His burden will be not only to lead Apple's design team and to deliver products known for being built with meticulous attention to detail, but to serve as a visionary for the company and dream up what the next big thing on the market would be. Referred to by his friends as Jony, he played a key role in designing Apple's most well-known gadgets, namely the iPhone, the iPad, the iMac and the iPod. Those who have experienced seeing him in action share that the 44-year-old designer is driven by the desire to create products that people find meaning in, not by the pursuit of fame and fortune. However, while he was responsible for crafting Apple's products and making them desired by consumers worldwide, it was mostly Jobs' ideas that led to their eventual launch. Without Steve's creative vision, we have yet to see how well Ive will cope with his tasks. Still, we are convinced he has all the ingenuity needed to guide Apple in the right direction. And although his name will probably not be followed by a cult in a way that Steve Jobs' is today, Jony will likely continue to impress us with gadgets having that unique Apple look and feel to them. I thought he left the company earlier this year? A very girly unusual cmmt from me here: WOW! That cutie reminds me of Jason Statham a little. No wonder their gadgets look gorgeous >_< (Can say that?....Hope my Android don' t get jealous) For what I read he' s very focus on working and not doing public relations. As Phullofphil says he has a big responsibility for years to come... hope he does an excellent job. Good luck, you do indeed have some very big shoes to fill. with no steveo around, i believe APPLE will lost it soul... just like the last time they lost steveo... WHY??? because apple never a team work it's a bunch of incompetence fool trying to make their iGOD feel please about them. now without the iGOD they will go disarray.